With that, and with Summer in full swing I have a few fragrances which I've been reaching for as the temperatures have been soaring. 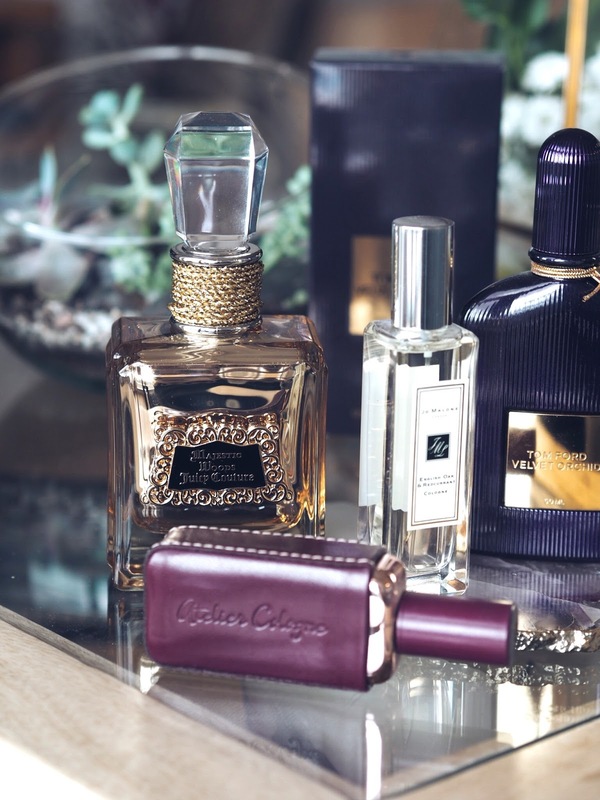 The first fragrance I've been loving is the Juicy Couture Majestic Woods fragrance which is a really heady fragrance and one I love to wear for evenings. It contains notes of tonka, white ambrox and amber to create a really seductive scent. 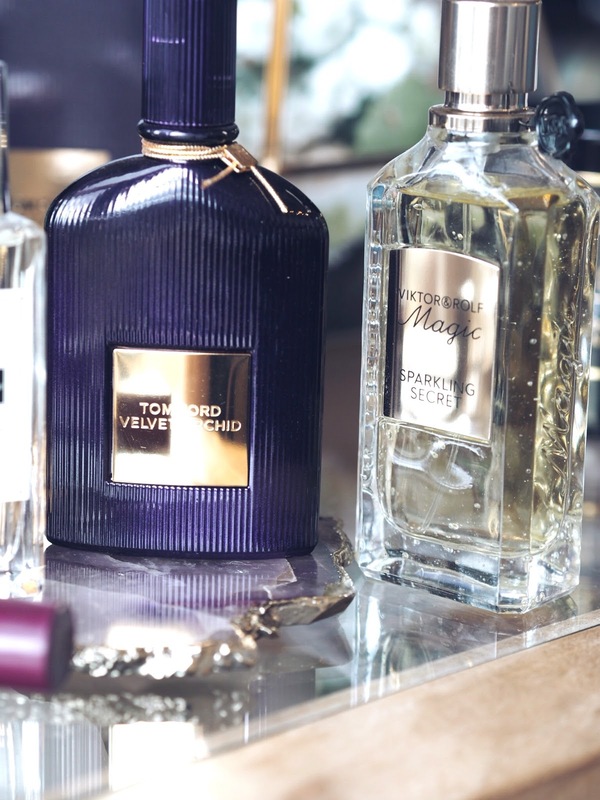 Sticking with fragrances that I love to wear in the summer evenings and on date nights next up is Tom Ford Velvet Orchid. Again this is a heady fragrance and is absolutely divine, it tends to be the scent that I save for special occasions because it smells so unique, and also Tristan wears Black Orchid so it really feels like our date night fragrance. Moving onto scents that are a bit lighter I've recently been using English Oak and Redcurrant from Jo Malone which is due to launch this Autumn. It's a lovely blend of earthy and fruity scents and overall a really beautiful perfume. It contains notes of Rose, Roasted Oak and Redcurrent and this combination is what gives such a complex lasting fragrance. Possibly my favourite zesty scent for the summer comes from the new Viktor & Rolf Magic Collection. Sparkling Secrets can only be described as a zesty and captivating fragrance. It contains notes of sweet lime, grapefruit, orange blossom, blonde woods and amber, which give a bright and deep fragrance - perfect for hot summer days. Last but by not means least is Blanche Immortelle by Atelier Cologne, which I'd say probably not everyone would love. It's a very complex and deep scent with notes of iris and sandalwood in a cologne absolute style which means it's a very strong fragrance. This is one of those scents that could easily be for men but I absolutely adore it and even though I love it right now, I know for winter it will also be perfect. 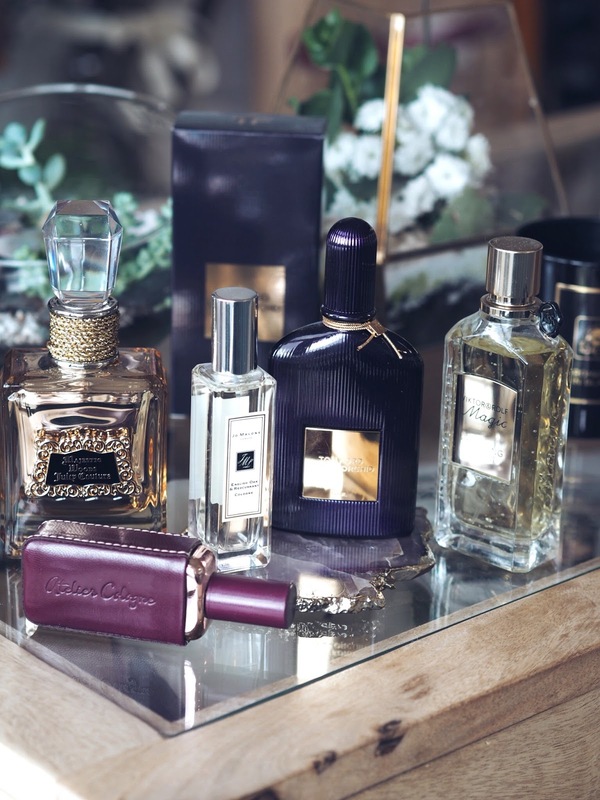 What are your favourite fragrances at the moment? 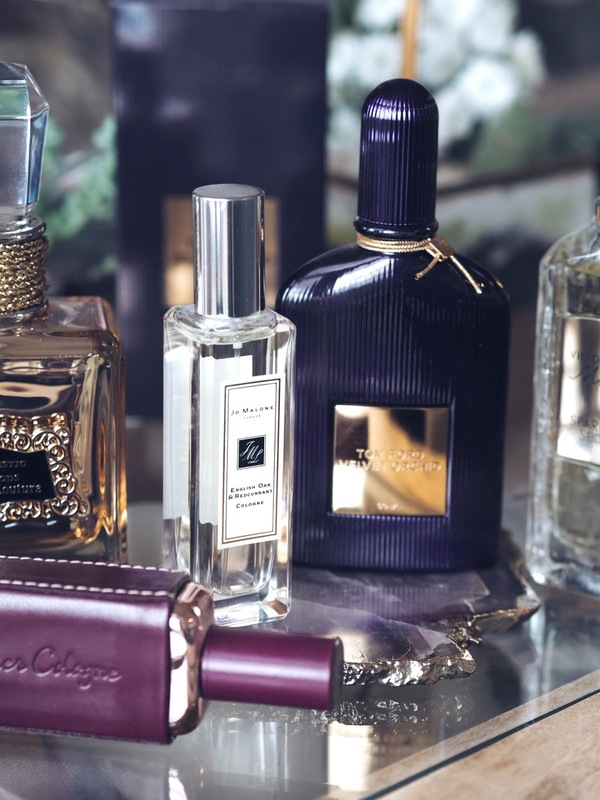 Some lovely summer scents here, the Tom Ford one sounds heavenly! I'm currently using a Burberry perfume which I love and a really fresh one from Caudalie! I think Juicy couture is the best female oriented perfume brand that every woman love. Since my wife started using Gold Couture I became a fan of Juicy Couture Perfumes. Thanks for sharing this post. Looking at products that are posted on my site can help you in recognizing Drew Barrymore Anti Aging Products the segments of every product and contrast marks before you choose with buy..